Newport Aquatic Center was founded in 1982 as a non-profit corporation offering the public unique opportunities in the Olympic water sports of rowing, canoeing, kayaking and outrigger canoe competition. Billy has dedicated his life to serving the public, especially kids. 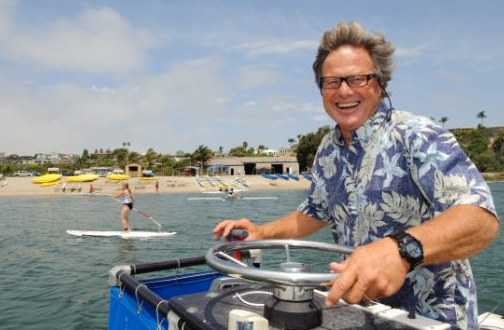 He has created programs for Santa Ana’s inner-city kids and outrigger paddling programs for the blind. He has created camps for all ages and their desired water sport. Billy welcomes competitive Olympic athletes from around the world to train out of Newport Aquatic Center. He trains the whole athlete, pushing people to go beyond their fears, become humble winners and gracious losers, and find joy in their sport. He creates opportunities for championships, travel, and success. Billy is described as a mentor, a coach, and a father figure. He exemplifies what he teaches: that it’s not about you, but about what you can do for others. Billy’s work keeps people happy, vibrant, and in touch with the ocean. The NAC is very excited to announce that Beth Anderson has been hired as of August 6, 2018 as the new NAC Director of Jr. Rowing. Beth is exceptionally qualified as she has worked for the last 21 years as the Program Director and Coach at the Oakland Strokes rowing program. As many of you already know, Oakland Strokes has been one of the premier Jr. Rowing Clubs. Under Beth’s leadership, Oakland Strokes has won 19 US Rowing National Championships. With her network of relationships, Beth is especially gifted in the area of college recruiting for Jr. Rowing athletes. Beth has worked with the athletes and college coaches to help determine the best fit and be sure that athletes are being recognized by universities for their rowing achievements. After 30 years in the sport of rowing, Beth is widely respected by college rowing coaches. Beth has over 20 years of experience working with a board of directors to create strategic visions that follow and advance rowing programs. Beth has worked with the Oakland Strokes Board of Directors in a cooperative fashion to spearhead fundraising by presenting large donors, and keeping the organizational brand strong to maximize donation potential. Beth graduated from UCLA in 1986 with a Bachelor of Arts degree in History. Beth obtained Master’s Degree in Sports Management from Purdue University in 1991. 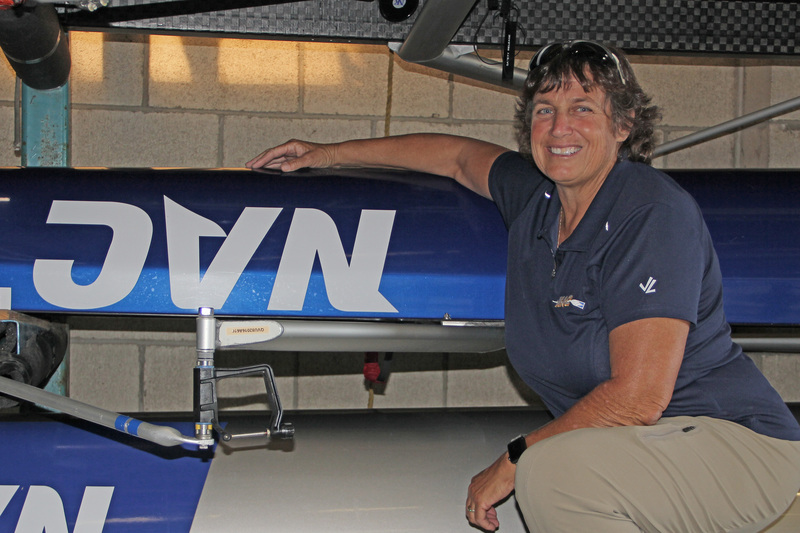 Beth was the Varsity Women’s Rowing Coach at the University of California at Davis from 1991 to 1993. Coached the Varsity Women from 1997 to 2000. Coached the Novice Women from 2000 to 2018. As the novice coach, Oakland Strokes has won the Novice 8+ more times than any other program. Responsible for marketing and coordinating rowing programs for over 300 athletes. Grew competitive program from 80 athletes to 200+ athletes. Designed a recreational Middle School program, with up to 300 students per year. Designed a Summer Camp at two sites with over 500 participants per year. Managed a staff of 18 to 30 full time and seasonal employees, overseeing the day-to-day delivery of programs. Coordinated local, regional, national and international travel and trip planning. Ran two different physical locations for the use of the Oakland Strokes. Handled parent and athlete relations. Developed and fostered relationships between community groups, committees, volunteers and all users of the facility. Coordinated all communication from the Oakland Strokes. Worked with the board of directors to set and enforce policy. Worked with the board of directors to develop and monitor the program and organizational budgets. Special Event planning & execution for the Oakland Strokes, with a number of these events including over 2,000 participants. Nick D’Antoni returns to Newport Aquatic Center after serving as an assistant coach at Princeton University and before that he spent three years as Head Coach of the boys program at Long Beach. Nick started his coaching career with the Newport Aquatic Center juniors in 2006, during which time he led the men’s team to 3 consecutive team points championships (’08, ’09, and ’10) at the Southwest Regionals and back to back national championships in the Men’s Youth Heavyweight 8 (2008 & 2009). In 2008, he coached the Men’s Junior National Team Pair (2-) at the world championships to the highest finish ever by an American crew in that event. In 2009 he also coached the Men’s Youth Lightweight 8 to a national championship, becoming the first coach to win both Men’s Eights events in the same year at the US Rowing Youth National Championships. 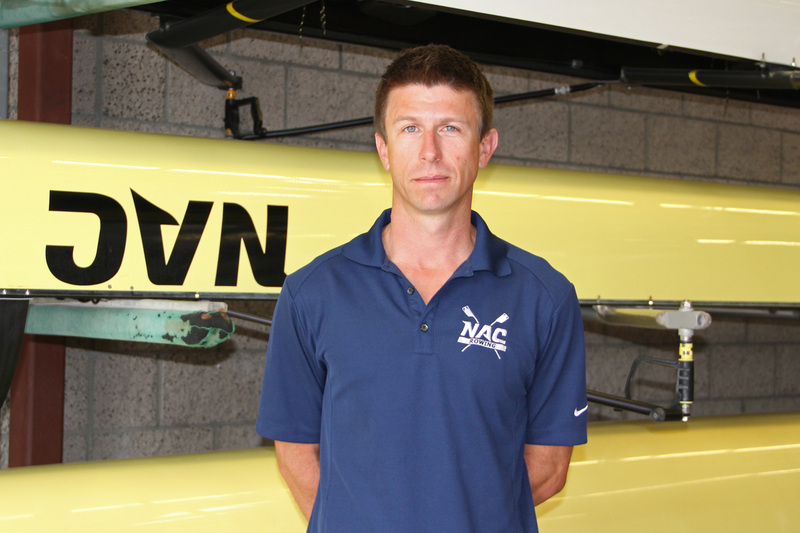 Nick began his competitive rowing career in 1996 for the Newport Aquatic Center as a junior, then moved on to pursue the sport at Orange Coast College followed by Rutgers University. Nick has always enjoyed both sweep and sculling disciplines: racing in as many boats as possible as a junior, primarily in 8′s in college, and training in his single in his spare time. Currently, he enjoys rowing and competing as often as time allows. 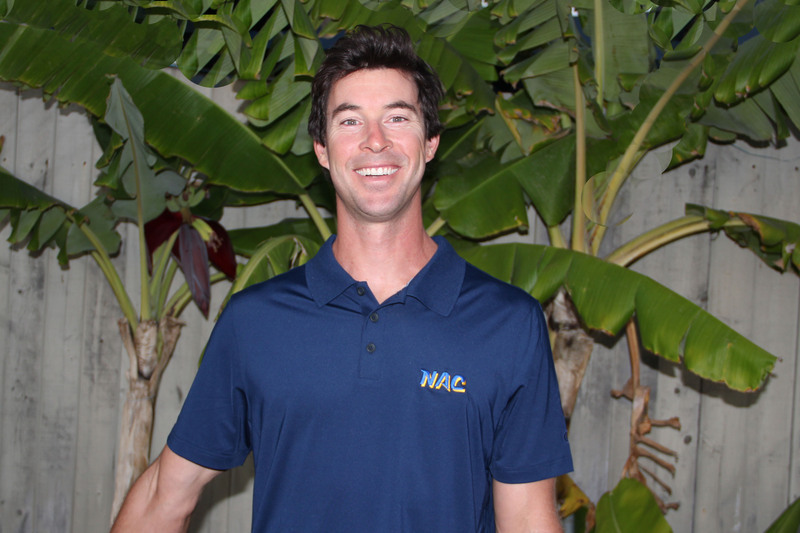 Pat Gleason is in his third year at NAC, coming from several successful seasons with the Orange Coast College Crew. He coached OCC to two ACRA and ECAC National Titles and 17 WIRA Championships over eight seasons. Pat began his rowing career at Coast and transferred to the University of Washington where he was a National Champion. As a Husky, Pat competed against the Russian Olympic team that boycotted the 1984 Olympics as well as the British Olympians in the Grand Challenge at Henley. Pat will draw on his many years of coaching experience as well as his personal athletic accomplishments. He competed in three World Championships as a Team USA Triathlete and is also a two-time Hawaiian Ironman finisher. Additionally, Pat has raced marathons in Boston, New York, and several other locations. When he is not coaching this sport that has greatly impacted his life, he can be found running his own successful commercial construction company. Pat is a licensed General Contractor and has been in business since 1991. He currently has his 21-year old son George studying at UCLA and, his 19-year old son Henry (mountain biking), and his 16-year old son Will rowing at the NAC. Pat and his wife, Gina just celebrated their 24th wedding anniversary! Marcel Stiffey begins his third year coaching the Boy’s Novice Squad. Marcel began his rowing career at Orange Coast College with Pat Gleason as his novice coach. While at Orange Coast College, Marcel won the WIRA championships, and then went on to compete at the IRA National Championships where his crew finished 9th. Post Orange Coast College, Marcel began training with friends and would compete in a club crew called the Little Knights. From there, he was invited to row for the famous Leander Club in the UK. While training at Leander, he was coached by the GB Olympic Coach Mark Banks and Chris Collerton, while training alongside members of the Olympic squad. As an added bonus, he was offered a position to begin coaching at the University of Oxford. While coaching there, he led his lightweights to an early season victory at the head of the Thames regatta. 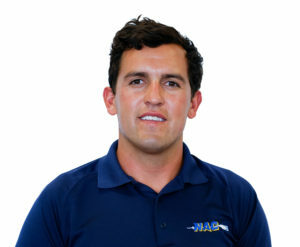 Marcel brings coaching experience from an international perspective as well as having experience coaching at Orange Coast College and with the Long Beach Junior Crew. His enthusiasm and passion for the sport of rowing is what motivates him to give back to the juniors as they reach for their potential. Marcel is happy to help all who come through the program and looks forward to another successful season with your children. Erich is beginning his second year coaching at The Newport Aquatic Center. He first began rowing at Orange Coast College and then at The University of Wisconsin where he competed on the United States U23 squad at the 2010 U23 World Championships in the 2X. With the persuasion of his friend, Coach Nick D’Antoni, Erich started coaching competitively for 5 years for Long Beach Jr. Crew. 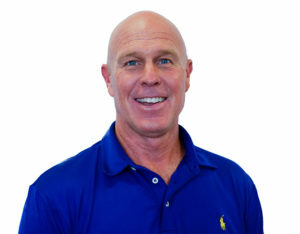 Erich coached multiple Southwest Regional Championships and multiple US Rowing Youth National Championship with winning squads on both men’s and women’s programs. Erich continues to row and train here at The NAC when he is not coaching he loves to surf and ride horses. The NAC is excited to announce that Garrett Pickard will be joining the Junior Rowing girl’s coaching staff. Garrett has a long history with the NAC, starting in junior high school paddling outriggers and then as a junior rower in high school. He experienced great successes as a junior rower including winning the Youth National Championships in the Lightweight 8+, leading his team as Varsity captain to a points trophy at Southwest Regionals, and taking 3rd place at Youth Nationals in the Varsity 4+. 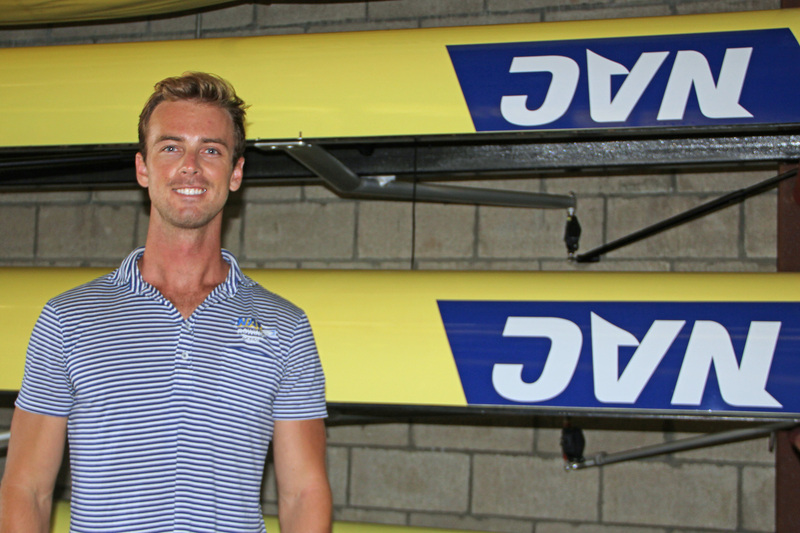 After graduating high school, Garrett attended Orange Coast College where he continued to succeed in his rowing career by winning WIRA championships in both the Freshman 8+ and Varsity 8+. While at OCC, Garrett coached the NAC novice boys from 2010 -2013 and led them to many podium finishes at Southwest Regionals. After OCC Garrett continued his education at University of Washington and rowed with the varsity team the year they swept the IRA National Championship. After completing his bachelor’s degree at UW and spending a year working in Australia, Garrett is extremely excited to be back at the NAC, a place he considers his “second home.” He says he really wants to have a big impact on the girl’s side of the program this year, not only in results and racing success, but also instilling passion and enthusiasm for the sport. Mijo started rowing back in Croatia for his hometown club when he was 11. During his rowing career in Croatia, he was a member of Junior and U23 Croatian National Team. In 2009 Mijo joined the University of Washington Men’s Crew team. During his collegiate career he was the 5 seat of the IRA and PAC 10 winning freshmen boat, a Sophomore 3 seat of the IRA and PAC 10 JV winning boat, and in his junior and senior years Mijo was the 5 seat of the Varsity IRA and PAC 12 winning boat. Mijo has also won Henley Royal Regatta’s Temple Cup in 2010 as a member of UW’s freshmen eight and placed 2nd at the same regatta but in the Grand Challenge Cup in 2013 as a member of UW’s Varsity eight. During his tenure at UW, Mijo was awarded All Pac 12’s Team Award in 2012 and 2013. This is Mijo’s 4th year coaching at the NAC and he loves to see the reward that comes from all the dedication and hard work the boys put into their sport. 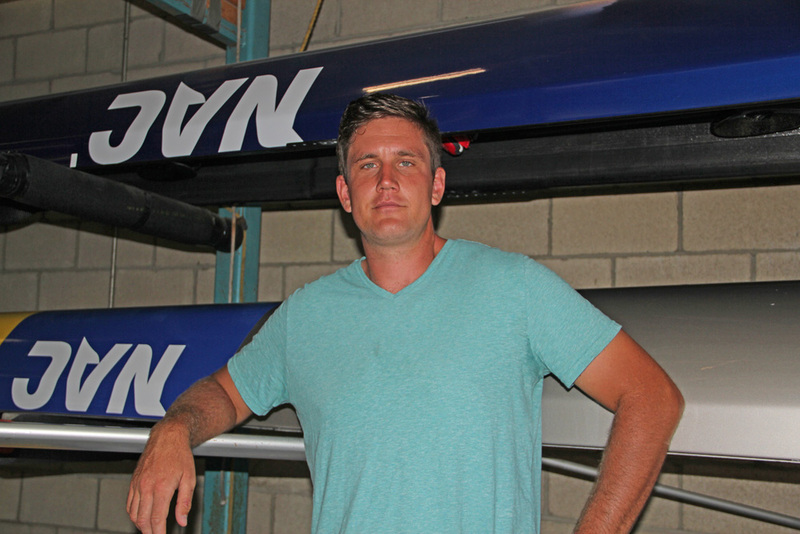 Dave’s waterman career started in 2003 when he followed in his brothers’ footsteps rowing for Orange Coast College. Since then he worked for two-time Gold and Silver medalist in the single scull, Xeno Muller. 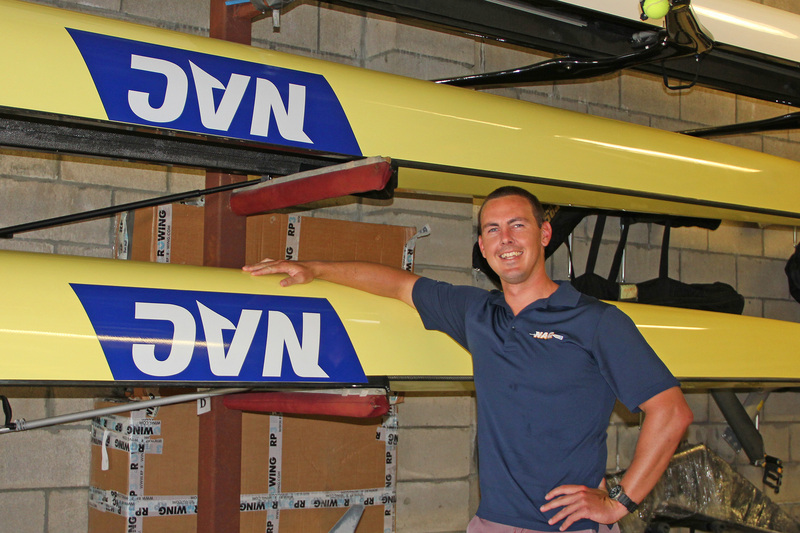 Dave coached NAC Junior Rowing for a year before becoming more involved at NAC. 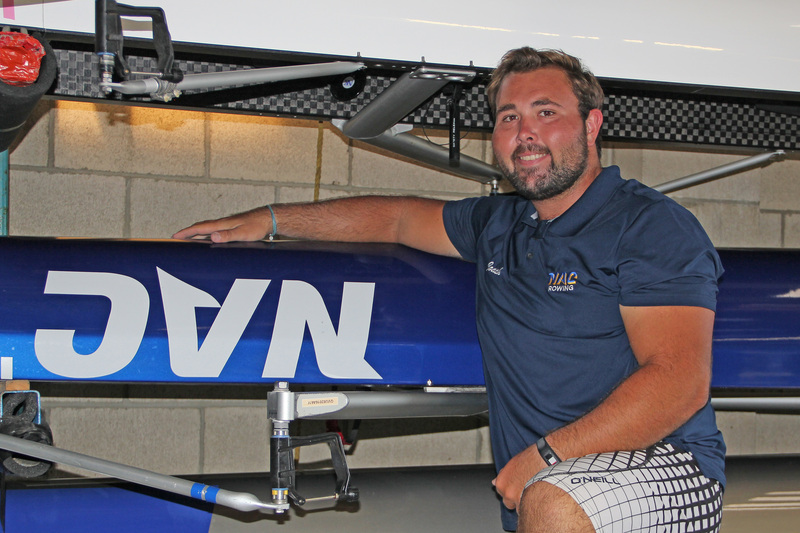 Over the years he has competed successfully at a world stage in outrigger, dragon boat, and sailing TP52’s. Dave has coached rowing and all paddle sport lessons for his tenure at NAC and been a successful outrigger coach at the world level. He has been a part of all NAC activities ranging from youth to old, blind and disabled, you name it- he has done it. He is a competitor by nature, having grown up with three older brothers, and wants to bring that competitiveness to the girls program. He is excited to work with Garrett and Mijo in making the girls program a winning one for now and the future. In being an athlete for so many years the body takes a beating, unless you take care of it. Dave has incorporated yoga into his training and has learned from many great yoga teachers at YogaWorks and other studios. On a personal note he loves to cook and find good food in his free time. He is starting a hot sauce business by taking his passion in cultures, creating unique recipes of hot sauce and selling them to donate the proceeds toward good causes. This will be Kristen’s 2nd year here at the NAC, and her first season working with the Novice Women’s program. Kristen began her rowing career in 2007 at Oakland Strokes rowing club, and during her time with Oakland she won gold at the SouthWest Regionals in her Novice 8+, JV8+, and her lightweight 8+, making it to nationals where her crew placed 5th in 2010. Kristen later spent some time rowing for Orange Coast College on their varsity crew, and following her rowing career with Coast began coaching CrossFit, where she trained and competed for 5 years. 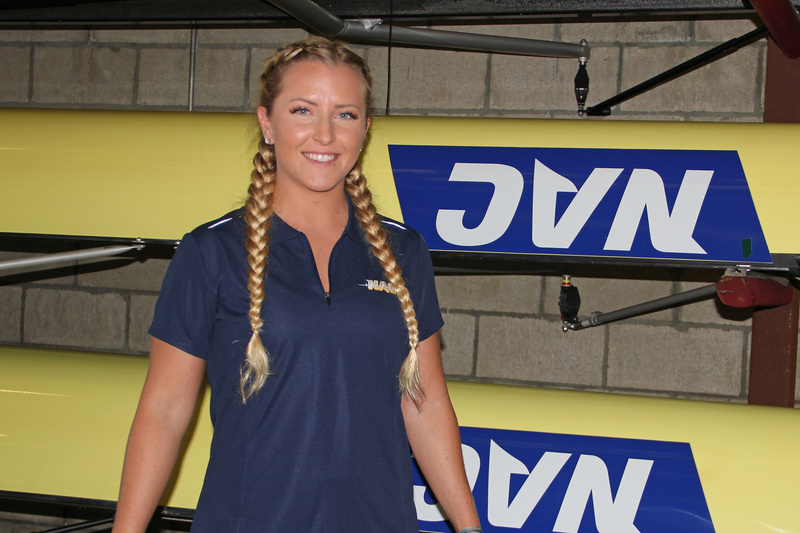 She continues to train in both CrossFit and Jiu Jitsu and looks forward to bringing her knowledge of fitness, and rowing to The Newport Aquatic Center junior rowers. 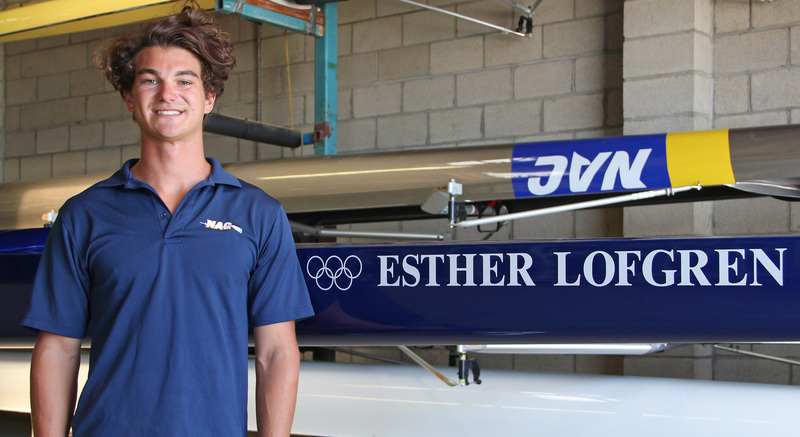 Cody began his rowing career at Casitas as a High school freshman in 2008 and was one of the founding members of Casitas Rowing. After rowing through high school and continuing onto the masters team with 10 years of personal experience, Cody realized his passion and love for the sport and wanted to share it with others by moving into coaching. Always wanting to learn as much as possible, he attained his level 2 U.S. rowing coaching certification, and started his career as the head middle school and novice masters coach. Cody worked for 4 years there, also adding the role of novice assistant coach for both the men’s and women’s high school squads, before finally moving into the position of head novice boy’s coach where he had success with his freshman earning a silver medal at the 2018 regional championships. Cody is an avid Crossfitter, and a very accomplished outrigger paddler, having 7 State Championship titles to his credit as well as 2 World Championship team appearances, placing as high as 4th in Calgary Canada. In his free time Cody still trains and competes in paddling and rowing, taking out his single whenever possible. He is extremely excited to start his first year coaching at the NAC,and his hope is to use his all of his experiences to help junior rowers reach their full potential both on and off the water.